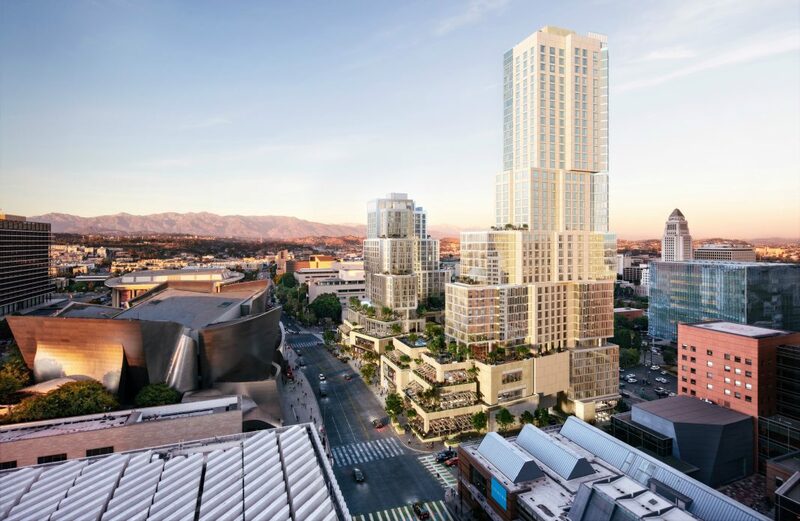 Grand Avenue is getting yet another architectural landmark with the Grand, a new building designed by Walt Disney Concert Hall architect Frank Gehry. 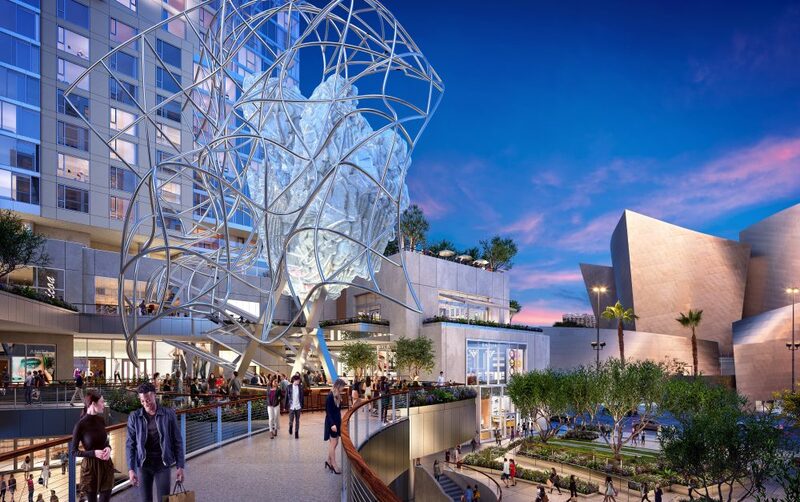 Mayor Eric Garcetti; Eli Broad, philanthropist and owner of downtown’s Broad museum, nearby on the avenue; and Gehry got together Monday for an official groundbreaking, celebrating the massive mixed-use complex. 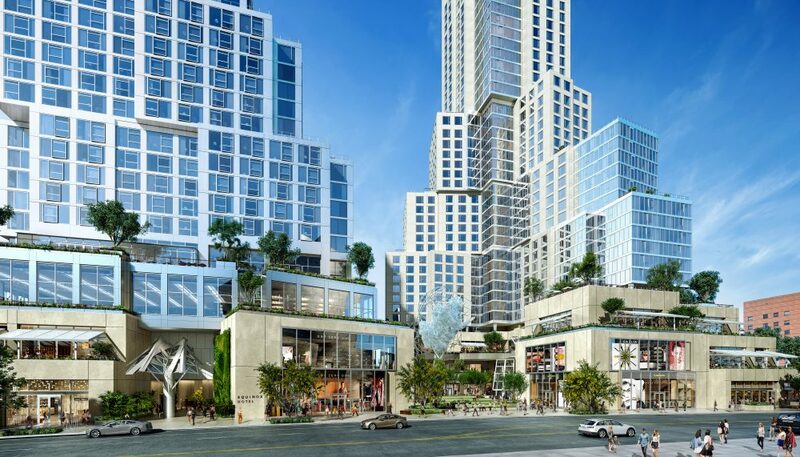 To that end, the Grand features 176,000 square feet of restaurant and retail space, a movie theater, a hotel, large public terraces and plazas, and 400 apartments. Of the residences, 20 percent will be designated as affordable-rate units. One of Gehry’s priorities in designing the structure was to “humanize” the scale of the complex. He opted for a staggered, blocky series of shapes that, he hopes, will appear friendlier to pedestrians walking along Grand than a traditional skyscraper. Landscaping and green spaces on the ground level should help, too. The developers behind the project are Related Companies and CORE USA. Related has quite a bit of experience creating large-scale urban structures; the same team has worked on Time Warner Center and Hudson Yards in New York City, and Brent Cross South and Tottenham Hale in London. CORE USA is a joint-venture of China Harbour Engineering Company and CCCG Overseas Real Estate.